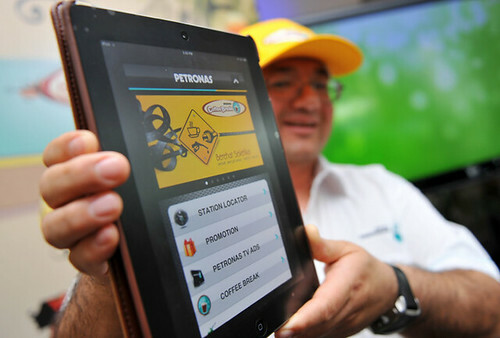 The Petronas PitStop Apps is now ready to be downloaded from the App Store. Congratulation to both Secretgroup and Petronas team for the effort and hardwork, in manifesting the apps from concept to end product. On behalf of the Secret team, I would like to express my greatest thankful and appreciation on the trust, motivation, cooperation and chance for allowing us to share our expertise on developing apps. To understand more on the GEMS & GREEN initiative by Khazanah, I guess the best thing is to read it from the source, or from the origin. Hope this can help all the unemployment grad student to know and understand more. PUTRAJAYA, March 13 (Bernama) — The Graduate Employability Management Scheme (GEMS) implemented by government-linked companies (GLCs) will offer training opportunities to 12,000 unemployed graduates for a two-year period. Deputy Prime Minister Datuk Seri Najib Tun Razak said 5,000 unemployed graduates would be taken in for the first year and they would undergo a two-and-a-month training and later emplaced in the GLCs participating in the scheme for six months. 1029 : Another happy rumours…. Last year we heard an unofficial rumors about 5 star…. this year it happens again, to another client. I suppose I have to check myself whether is it through or not. Either way… god is great. This is a print screen from one of our client’s tweeter.